Bacardi y Compania, S.A. de C.V.
Tequila Cazadores Reposado is 100% Blue Agave and rests for over two months in new, small, American white oak casks. Aging in new oak casks creates a unique Reposado Tequila that is rich in aroma & flavor. Great for drinking in classic tequila cocktails like a Margarita or simply enjoyed neat. Simply, this is a good middle ground reposado (price-wise). It's a good reposado for introducing shot drinkers into the sipping clan, although surprisingly cloying and heavy on the vanilla for old hands. It's got just enough burn to kick a spur into your side. Not much aroma beyond a powerful agave sweetness. Initial hit will be a sweet surprise for people used to snappy blancos or cheap tequilas, but the finish is harsh and lacking in complexity. At its usual price point, it's a decent choice for mixing or sipping. As for the packaging, I don't care a bit... but for what it's worth, the bottle is boring and the label is mediocre, if you're into displaying these things as works of art. A very basic and easy to find tequila. For people who drink mixtos, this will be a nice revelation. For people who drink a lot of tequilas, this will likely just be a ho hum juice. Aroma: Not a great agave nose, but the faint agave smell and alcohol is pretty much the only aroma. Initial Taste: Sweet taste. Agave, not much else. The mellowing of aging makes it more pleasant than the blanco. Body: A bit of agave and wood. Sits well on the tongue, but not a lot of complexity or strength in the flavors. Finish: Short finish, a slight alcohol burn. Nothing spectacular, but relatively smooth. This is a tequila that I wouldn't seek out, but I also would turn down. 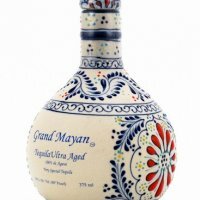 It's good enough for any tequila aficionado, but with so many quality brands out there, it's not one that I would look for as a top choice either. After a long weekend of enjoying beer in London with a friend, my doctor informed me of a food allergy I had developed that forced me to eliminate Gluten from my diet. When I asked him what my alcohol of choice should be he emailed me with his favorite Tequila, Cazadores Reposado. Five years later Cazadores has become my staple alcoholic beverage. Its smooth, light flavor can be enjoyed in moderation and excess. This versatile Tequila is great neat, on ice or mixed with your favorite complement. Priced less than inferior Tequila's such as Patron there is no better Tequila for the money available in the US. Hate the bottle, but love this tequila. 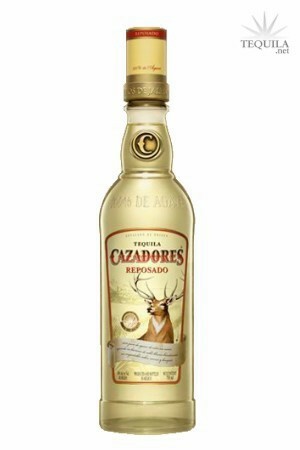 Cazadores Reposado, for me, is the staple reposado. It's a great value, it's a smooth tequila, and can be enjoyed as a shot, on the rocks, or in a margarita/paloma. When it's $30 in the store, I might be more likely to want to get a bottle of Herradura or Correlejo, but for the $25 it is typically priced at, it is an exceptional value. If you are used to drinking Hornitos Reposado, El Jimador, or 1800 Reposado, you'll definitely notice a difference with Cazadores. It's a more "thoughtful" tequila. it has more nuance. You'll taste more vanilla, there will be more lingering undertones, and it will have a "thicker" tecture than it's competitors. It's a connoisseur's tequila at a price anyone can appreciate. One of my personal favorites. I had high hopes for this one, but it kinda let me down. It isn't bad, but it isn't great either. There are lower-priced reposados that are better, notably, Hornitos and El Jimador. Cazadores should be smoother than it is, in my opinion, and the taste is pretty one-dimensional--no special flavor(s), no complexity. I doubt that I'll buy it again.